Rabbit Eye Movement is an Agency, which means we connect brands with artists for a wide variety of projects. Two weeks ago we did this project for Volvo in Switzerland. 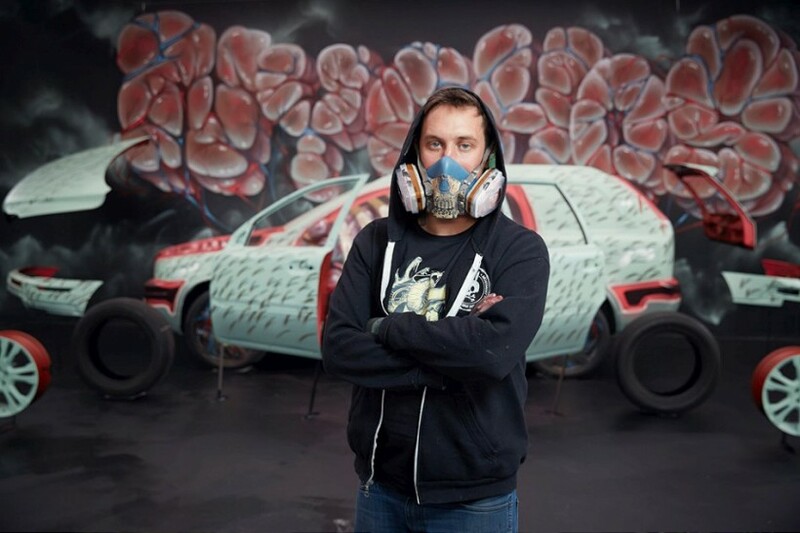 Volvo Art Session is a live art project taking place in Zurich’s main railway station that finds “selected Swiss and international artists applying their creativity to a Volvo car” The organizers of the event invited Nychos as one of the artists for their fourth year of the event. Photo credit: Volvo Art Session.